If you live in Hoodi, and want to go to Varthur Kodi in Whitefield, you don’t have to take out your car anymore. Bangalore Metropolitan Transport Company’s (BMTC) new Chakra service will connect entire Whitefield in efficient local loops, thereby reducing the traffic burden on road. The BMTC introduced new Chakra services for Whitefield, after months of engagement with the local residents. Midibuses (light weight minibuses) introduced on the new Chakra route 8 and 8A, will travel clockwise and anticlockwise respectively, between TTMC-ITPL-Varthur Kodi-Kundanahalli-TTMC. The buses introduced on Chakra route 9 and 9A also travel clockwise and anticlockwise in the same area through a different route, namely, TTMC-Graphite-Hoodi-TTMC-Varthur Kodi-TTMC. BMTC is also extending some 500 series routes upto Kadugudi, and making adequate provision for parking, u-turns and rest area for crew. While the Chakra service will make it more convenient and save a great deal of time for the commuters travelling within that area, BMTC is also keen on enhancing the connectivity between Whitefield and the city hubs. Three BIG (Bangalore Intra-city Grid) Trunk services are expected to be introduced on Kadugodi to Kempegowda bus station route. One of them will go through KR Puram, another via ITPL and the third via Varthur Kodi; and two more connecting Kadugodi to Shivajinagar bus stand, one of them via KR Puram and the other through Varthur Kodi. BMTC has used inputs from a study done by EMBARQ in designing the BIG Trunk and Chakra services. EMBARQ is a non-profit that facilitates sustainable, cost-effective and low pollution transport. The proposals include reorganising the bus routes into a more efficient network, by connecting the outskirts of the city to the city centres through BIG Trunk buses. Peripheral localities off the arterial roads will be connected to these major roads by high frequency feeder services. 85% of the commuters travel by BMTC more than four days a week. 72% of users travel by non-AC buses. 73% of women feel safe on board. 77% of the respondents feel that BMTC services are comfortable. DULT is yet to share the complete findings of the survey with BMTC. 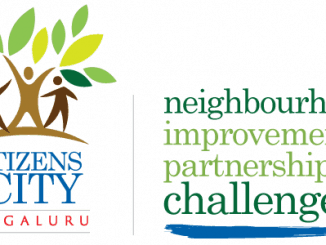 A total of 2500 people, 2000 of whom were users and 500 non-users, were surveyed at bus stops, office parking lots, malls, schools, offices and colleges within the four wards (82, 83, 84 and 85) of Whitefield area. The participants in the survey included students, homemakers, self-employed and salaried employees from government, IT and other sectors. At the event, a new BMTC trip planning mobile app, using which commuters can locate the nearest bus stop, lodge complaints, get information about fare and access the bus time table, was launched. Wifi services were also inaugurated for Vajra and VayuVajra buses. The free wifi service will be provided by a company called Eazee Tech. BMTC claims there is no cost incurred for providing this service. “The company uses the space behind passenger seat and the space above the windows for advertising. There is also an option to display advertisements on LED screens fixed inside the buses. That can be opted for so long as the condition of broadcasting BMTC announcements and other information about BMTC on the screens for a certain number of minutes everyday is met. Not only is this of zero cost to us, but we are also earning 4,000 rupees every month, paid by Eazee Tech in exchange for the advertising space”, said Veere Gowda, General Manager Traffic of BMTC. Ramalinga Reddy, District Incharge and Transport Minister, who inaugurated the Bus Day, later travelled in the area along with citizens of Whitefield including R K Mishra and others. He seemed to have realised the traffic woes of people in the area after spending good time in the traffic himself. He said the government would be willing to give grants for road works in Whitefield, provided BBMP agrees not to divert the funds for other purposes. Citizens have joined their hands to celebrate the government’s move to ban single use disposable plastic items. 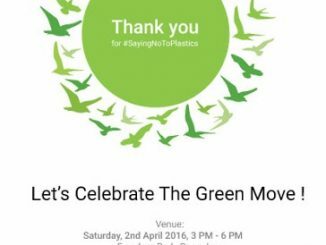 Join them at Freedom Park on April 2nd. 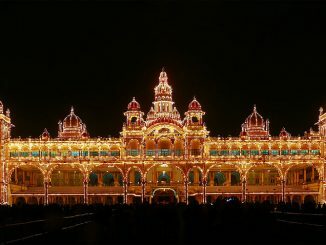 Looking to head to Mysuru for the annual Dasara procession, or maybe head out of Bengaluru for the long weekend? You could choose to travel by the special buses that KSRTC is operating this season.